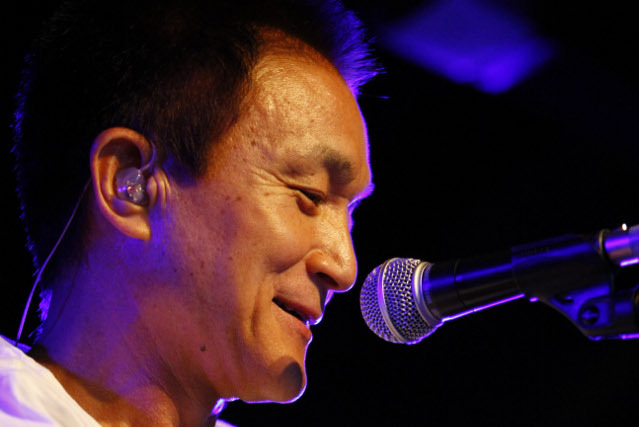 Kazumasa Oda is a singer-songwriter, also known as the leader of the famous folk rock band Off Course. As a vocalist and leader of Off Course, Oda wrote many Japanese standard numbers in the 70s and 80s. He and Yasuhiro Suzuki (who left the band in 1982) were important composers in the band. The group’s most successful singles “Sayonara” (1979), “Yes-No” (1980), and “Kimi ga Uso o Tsuita” (1984) were written by Oda. In 1985 he began work as a solo musician. He produced many hit singles as singer-songwriter, such as “Little Tokyo” (1989), “Itsuka Dokokade” (1992), “Tsutaetai Koto ga Arunda” (1997) and “Kirakira” (2002). His most successful single was “Love Story wa Totsuzen ni” (1991), the theme song of a Japanese TV drama called Tokyo Love Story. It sold over 2,580,000 copies and became the eighth best-selling single in Japan.